The OPI Grease Collection Summer 2018 shades made my heart skip a beat when I first saw them. Actually the idea of a Grease collection made my heart skip a beat because I have been a huge fan since literally 1980, when I was around 8 years old. But let’s NOT talk about Grease 2, which I saw in theaters when it came out in 1982. I HATED it because I wasn’t aware that Sandy (Olivia Newton John) and Danny (John Travolta) weren’t in it, so I was upset and have kind of hated it ever since, haha! The OPI Grease Collection Summer 2018 consists of 12 new shades in various finishes and three “Leather Like Finish” shades. I swatched all of the pale shades over a ridge-filling base coat and they were all just two coats. In fact, everything in this whole collection swatched with just 2 coats and I had no problems. Don’t Cry Over Spilled Milkshakes is a milky, soft white creme. Meet a Boy Cute as Can Be is a pale cool-toned yellow creme. Was It All Just a Dream? is a pale cool-toned sky blue creme. 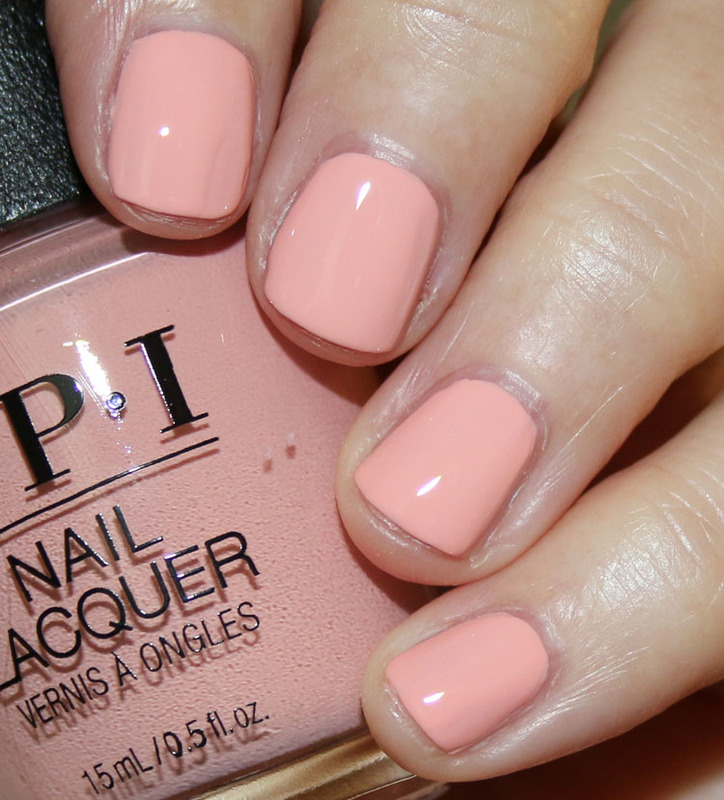 Hopelessly Devoted to OPI is a light pastel peachy/pink creme. Pink Ladies Rule the School is a light/medium pink creme. Frenchie Likes to Kiss? is a light pink with delicate pink/lavender shimmer. Summer Lovin’ Having a Blast! 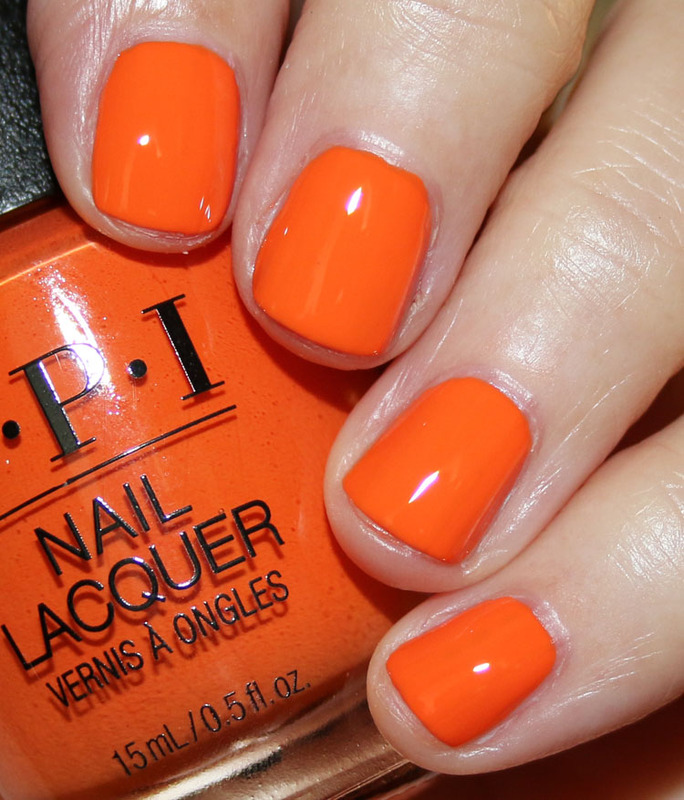 is a super bright orange creme. You’re the Shade That I want is a bright raspberry pink creme. Tell Me About it Stud is a bright cherry red creme. Team Me More, Teal Me More, is a medium teal green creme. Danny & Sandy 4 Ever! is a deep charcoal grey with blue/silvery shimmer. Chills Are Multiplying! 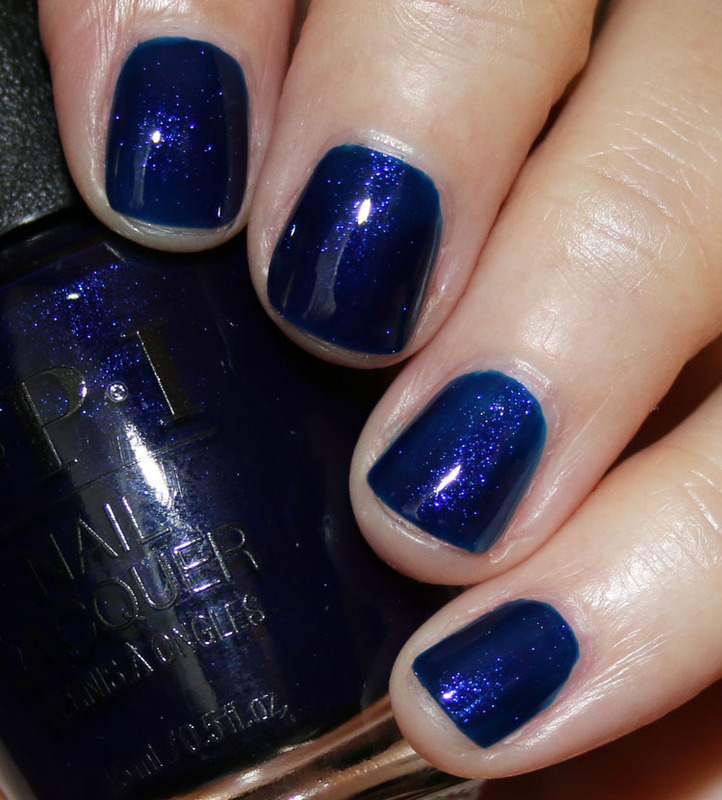 is a deep blue with heavy cobalt blue shimmer. Rydell Forever is a crisp white with the Leather Like Finish. Really, it’s just lightly textured like small bumps, not leathery in my opinion. Electifyin’ Pink is a light candy-colored pink with the Leather Like Finish. So there is the entire collection for you! I am pretty happy with nearly all of these shades. I especially love the light pastel ones, Frenchie Likes to Kiss?, Summer Lovin’ Having a Blast!, and Chills are Multiplying! I also like the Leather Like Effect ones, though I do not think they look or feel like leather. They are just your standard textured polish, but Grease is the Word is especially nice. I think in general a “leather” texture sounds nice in a polish, but never quite works. 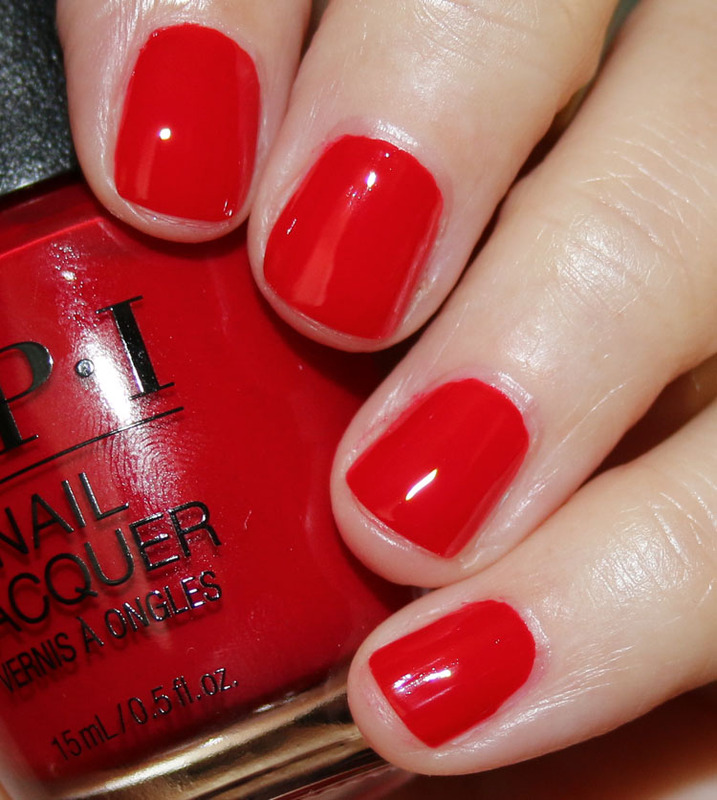 You can find the OPI Grease Collection Summer 2018 on Polish Pick now and they are $5.75 each. I am so tired of pastels and whites that have streaks but these look lovely. The red, teal, orange, fuchsia, and navy shimmer are nice too. 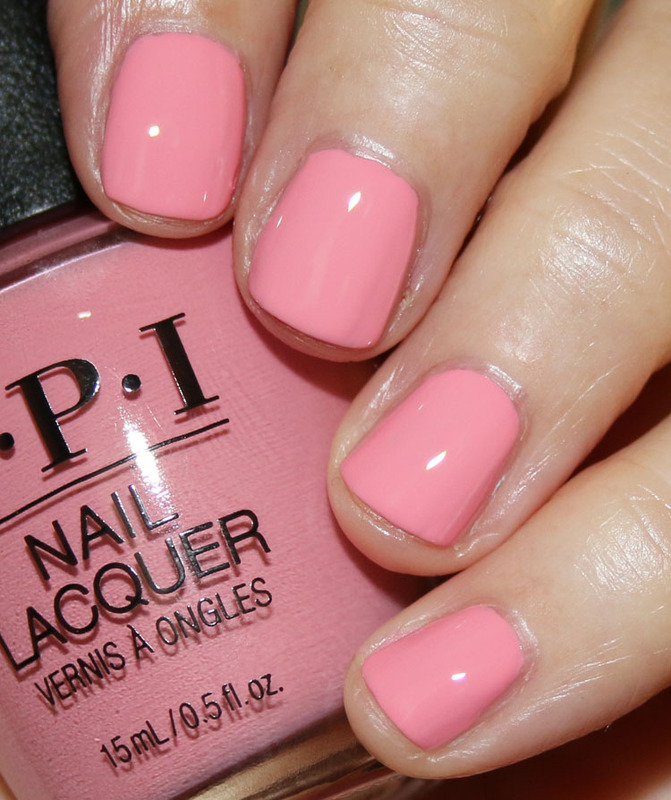 I wish OPI was cruelty free because I LOVE Grease is the Word. 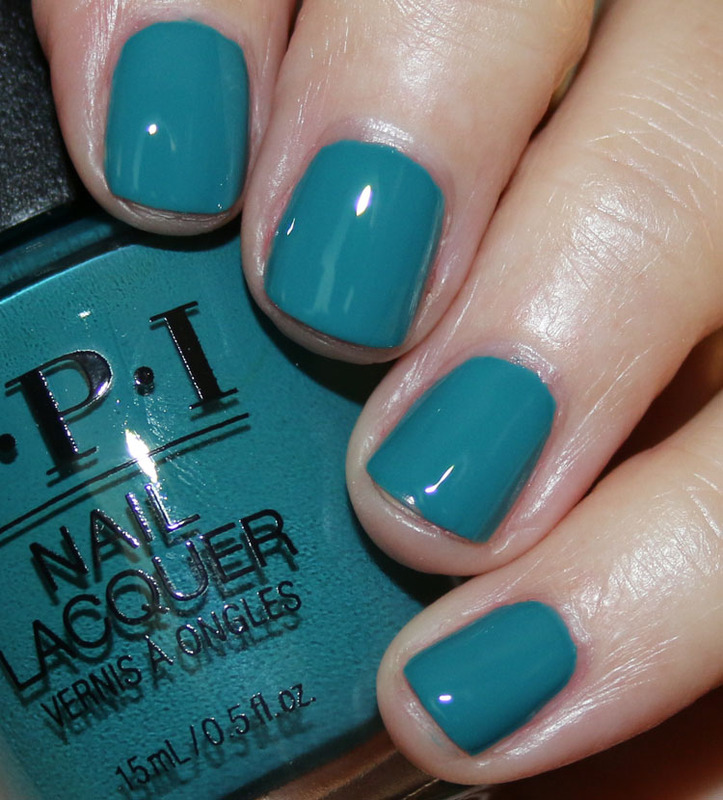 Why, OPI, why? I’m digging the milkshake one! 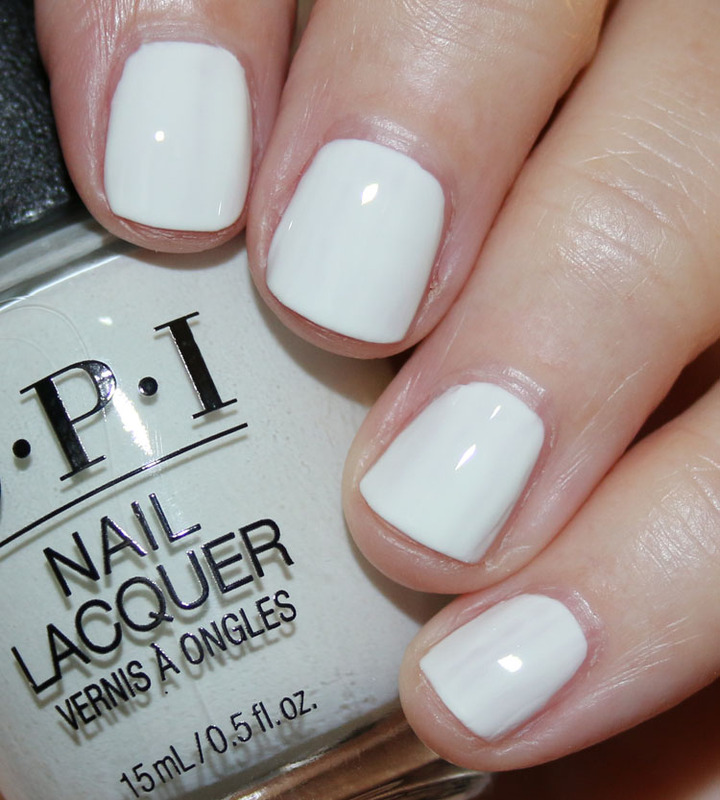 It’s hard to find a good white polish that’s not chalky or patchy. And chills are multiplying is interesting to me too. And that red! Wowza! I might need that too! I really love the shimmer in Frenchie Likes to Kiss? I’m not a fan of textured polish so those are a big no for me. I feel like there’s nothing original or special about the others. I find myself drawn to You’re the Shade that I Want, but I literally have like 20 of that exact same color. I’m also loving Chills are Multiplying! Back in the early 90s, my sister used to watch the VHS of Grease every single day after school (she was the same way with Annie in the 80s). I got so sick of it that I ended up hiding the VHS in a closet so she couldn’t find it, lol. Frenchie Likes to Kiss? gets a yes from me. The others don’t seem all the original (esp the creams) – I am not a fan of texture polish, so the leather look ones are a no go for me. Oh I love Grease aswell so this made me really excited! 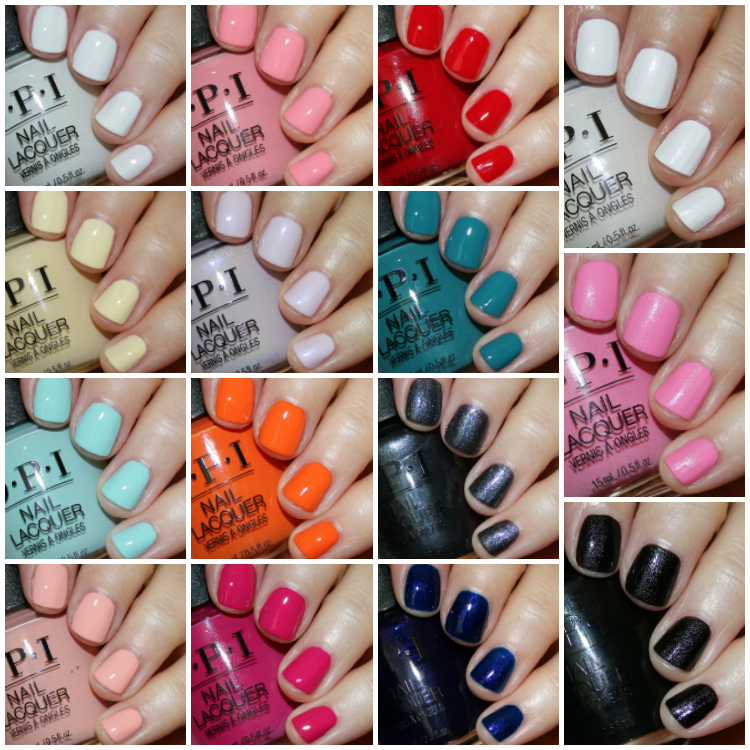 I see a lot of nice polishes that I would love to wear! I want ALL of the creams!!!!! So pretty!!! The leather finishes I can take or leave, but maybe some would look good with a shiny top coat! It must have been a real PITA to swatch this whole thing, so thanks for going for it!!!! Thanks for all the gorgeous swatches! I loved Grease when I was a kid! I love love the idea of a Grease themed collection, and I got a thrill reading the names, but I don't know…I expected something more "special" than cremes and "leather effect". Besides, considering how much they cost here in Italy (13,9 Euro at Sephora, that would mean 17 USD) I don't think I'll end up buying any of them. How does Meet A Boy Cute As Can Be compare with Dior Sunwashed? I don’t have that one, sorry! I just thought Frenchie loves to kiss was adorable. You’re the shade that I want will be fun for spring into summer. My final choice was Chills are multiplying! If I missed out on that one, I’d be really disappointed… fun collection for a fun movie. I went to see it at the theater about 6 times when it first came out. Brings back fond memories with my friends back then. Everybody is talking about this collection and I love watching your swatches..
however, the colors were pretty predictable and dupable.. not really a fan of them.. Grease 2 was on HBO every afternoon one summer when I was a kid, and I fell in love with it big-time. In the ’90s, I paid, like, $40 to import the soundtrack CD from Germany. I have inflicted the DVD on a couple of people and yes, it’s awful, but I still kind of love it anyway. Out of all of the YouTube videos that I watched with this collection, only on your blog post did I actually get to see some of the fine shimmer in Frenchie Likes to Kiss?. I have Chills are Multiplying and Grease is the Word (I’m wearing it now), and now I’m looking to get Tell Me About it Stud. 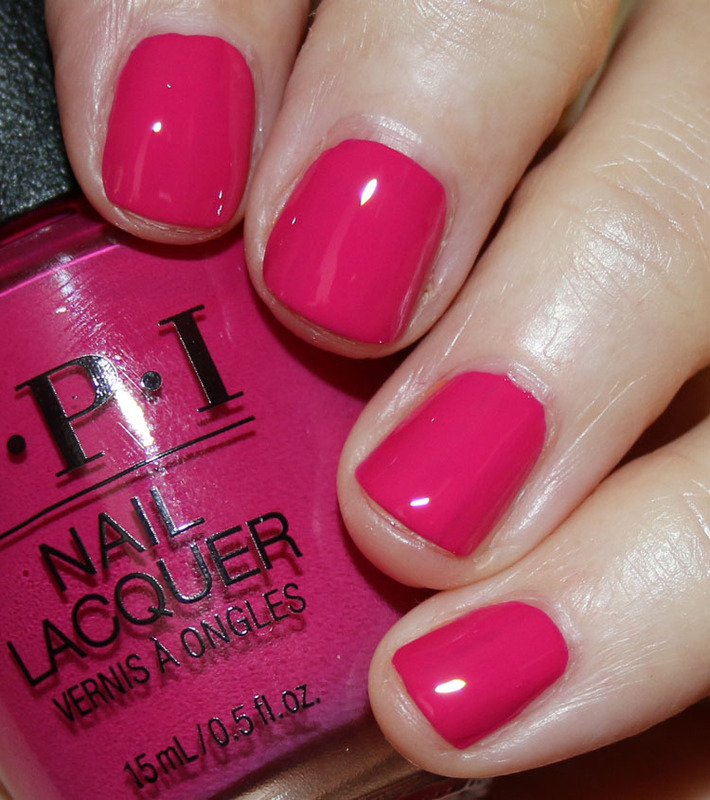 Like another YouTuber said (and I completely agree with her), why isn’t there a polish called Beauty School Dropout? I would have loved to see that one.